Ora, a middle-aged Israeli mother, is on the verge of celebrating her son Ofers release from army service when he returns to the front for a major offensive. In a fit of preemptive grief and magical thinking, she sets out for a hike in the Galilee, leaving no forwarding information for the notifiers who might darken her door with the worst possible news. Recently estranged from her husband, Ilan, she drags along an unlikely companion: their former best friend and her former lover Avram, once a brilliant artistic spirit. Avram served in the army alongside Ilan when they were young, but their lives were forever changed one weekend when the two jokingly had Ora draw lots to see which of them would get the few days leave being offered by their commandera chance act that sent Avram into Egpyt and the Yom Kippur War, where he was brutally tortured as POW. In the aftermath, a virtual hermit, he refused to keep in touch with the family and has never met the boy. Now, as Ora and Avram sleep out in the hills, ford rivers, and cross valleys, avoiding all news from the front, she gives him the gift of Ofer, word by word; she supplies the whole story of her motherhood, a retelling that keeps Ofer very much alive for Ora and for the reader, and opens Avram to human bonds undreamed of in his broken world. Their walk has a war and peace rhythm, as their conversation places the most hideous trials of war next to the joys and anguish of raising children. Never have we seen so clearly the reality and surreality of daily life in Israel, the currents of ambivalence about war within one household, and the burdens that fall on each generation anew. Grossmans rich imagining of a family in love and crisis makes for one of the great antiwar novels of our time. What one word would you use to describe the central theme of this novel? Is it a political novel? In an interview, Grossman said about grief, The first feeling you have is one of exile. You are being exiled from everything you know. How do both grief and exile figure into this story? Throughout the novel is the notion of tapestry, of threads being woven. What does that tapestry signify? What do you think was Grossmans intent with the prologue? What did this opening lead you to expect from the rest of the novel? Was it significant to you as a reader, later in the story, to have known these characters as teenagers? To the End of the Land is timely not only in light of Israel's ongoing conflicts; unfortunately, it will be timely as long as mothers send their sons off to war...Grossman's writing is rich and detailed, nearly every sentence so vivid that one feels exactly what his characters are experiencing... I found some paragraphs so beautiful that I had to pause to simply savor Grossman's precise use of the written word, deeply moved by his mastery. (Reviewed by Kim Kovacs). While his novel has the vast sweep of pure tragedy, it is also at times playful, and utterly engrossing…This is one of those few novels that feel as though they have made a difference to the world. 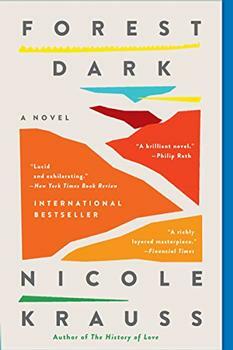 Although the atmosphere of paranoia and the flood of details can overwhelm, they also connect the reader to the characters so hypnotically that this nearly 600-page literary novel reads like a thriller. Starred Review. A classic, full of sharp descriptions of life in Palestine and Israel today, urgent in its insistence that peace can come through sharing stories and the time required to tell them. A final heartbreaking note from the author makes the story all the more poignant. Highly recommended. Starred Review. Grossman, whose own son was killed during the 2006 Israel-Lebanon conflict, writes directly from the heart in this scorching antiwar novel. This is a book of overwhelming power and intensity, David Grossman's masterpiece. Flaubert created his Emma, Tolstoy made his Anna, and now we have Grossman's Ora—as fully alive, as fully embodied, as any character in recent fiction. I devoured this long novel in a feverish trance. Wrenching, beautiful, unforgettable. In To the End of the Land, the central characters backpack along the northern stretch of the Israel National Trail, which is also known as "The Galilee." The Israel National Trail (INT) is a 597 mile long (955 km) hiking trail that crosses the entire country of Israel, north to south, running from the city of Dan on the Lebanese border to Eilat on the Red Sea (map). The trail offers remarkable variety, winding through deserts, forests and mountains, as well as providing access to historical and archaeological sites.